Videos get more and more important as social media content. Facebook has various video formats that you can use, as Facebook live, Facebook video posts – and Facebook stories. There is also a trend in social media towards more unofficial and less formal content. Brands infuse personality and a feeling of accessibility by using storytelling in combination with more fun and less designed content. A format that makes full use of all these developments in social media is a content format called stories. This type of content on social media vanishes after 24 hours. Stories are often less perfect and orchestrated content that includes more personality. Stories originally came up on Snapchat and rose to incredible fame. When Snapchat turned down an offer from Facebook to buy Snapchat, Facebook “copied” the story concept and took it first to Instagram and then to Facebook. Stories are images or videos that are really short. Often there is more than one story strung together to a sort of slideshow or a series of short videos. The images or videos can easily be edited within Facebook. You can add text, emojis, stickers. You can tag accounts and you can ask for feedback. Stories vanish after 24 hours. The stories on Instagram and Facebook have a very prominent place thus attracting more views from followers than “normal” posts to the feed. This means that stories have some marketing power that can be leveraged by brands if they use stories wisely. Stories are a more authentic and creative format: While social media posts tend to be very designed and perfect, the time-sensitive nature of stories allows for more personal and “imperfect” content. A photo published in a story does not have to be taken by a pro, messages on the images can be more fun and posted on the spur of the moment. BUT: You need some extra content for your stories – stock images will not do the trick. You have to invest the time to create and brand the story content and tell a story with it. Stories have a prominent location on Facebook: While brands have to fight hard for visibility in the Facebook feed (or pay for it with advertising), stories show up on top of the feed – and the competition for stories is still not so big as for a spot in the feed that you have not paid for. Stories are shown very prominently at the top of your Facebook feed. What better place can you imagine for any post from your Brand’s fanpage? And all that without having to pay for the best spot! The stories format has proven its power on other platforms that introduced it before Facebook. Many Instagram users rarely post an Image Update while they use the story option daily with multiple snippets of their daily life. 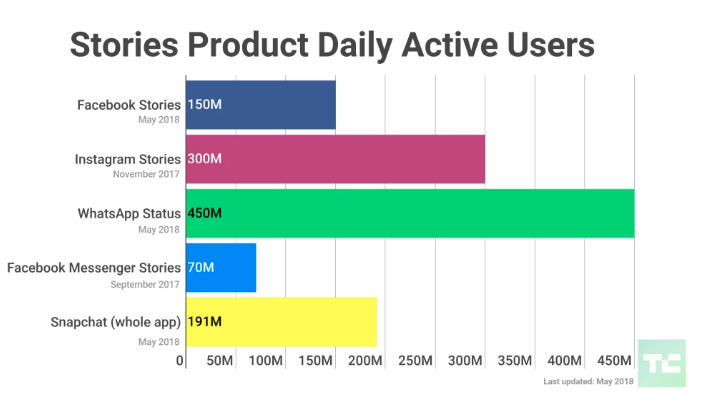 Even if stories are not going to get hyped that much on Facebook, it is predictable that there is immense power in the rising popularity of Facebook stories. And this popularity is still not hidden behind ad payments. 1. To use Facebook stories for your brand, you need a Facebook fanpage for the brand. If you do not yet have a fanpage, create one. Make sure that you have filled out all important parts of your fanpage, including header, name, image, connect website, etc. 2. To create a story for a brand fanpage, you have to be an admin of the page. This seems to be natural since only admins can post content to a fanpage. 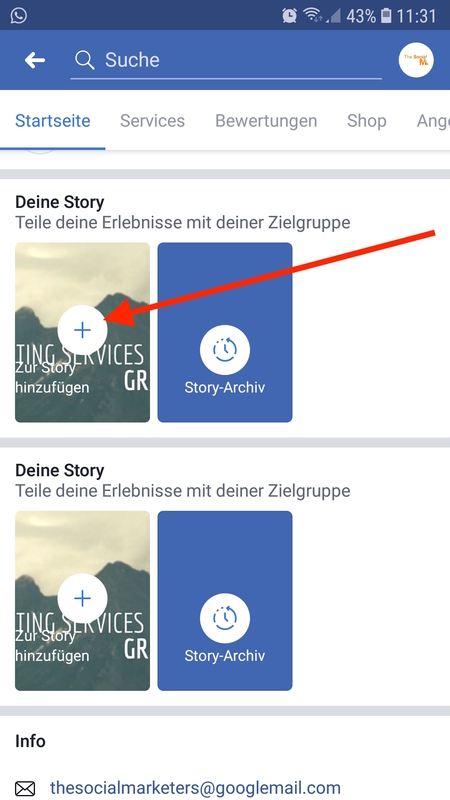 Once you have a fanpage and are the admin of the fanpage, you can start creating your Facebook stories. You can create Facebook stories on the desktop version of Facebook, however, the app seems to provide you with more options when creating your stories. Go to your Facebook fanpage and scroll down until you see the “Your Story” area. Click on the “+” and add your story. You can take a photo or video directly in the app or use an image or video from your image library. Various editing options allow you to add text, stickers and even draw something on the image. Use these options to add a personal touch – and make the story recognizable as a brand story. Since you can use prerecorded images and videos, you have the option to create and edit your story with an external tool before you upload it to Facebook. There are endless options to create good brand stories. If you do not know where to start, a good way to come up with ideas for your stories is to simply browse around and see what other brands – even your competitors – are doing in their stories. Take a look at stories from outside your niche. Don’t just do the same (lame) stuff others are doing. Come up with your own ideas. Never just promote: Your brand stories should never be a long list of product posts. Be more creative. Why not show your products in various life situations, post stories of your company life, ask your customers to provide content like images of your products or even testimonials – maybe even funny ones. Stories are not there to stay – but you can even “test” what responds with your audience and re-use the best as social media posts that are going to stay. Go “behind the scene”: Show personality, show the people working at your brand, show how a product develops, show the delivery process in a story of many stories, show more from your brand that otherwise will not be public knowledge. You can even create a kind of “insider” community with the visitors to your stories and reward them with special bonus codes or quizzes that only show up in the stories. Publish time-sensitive updates: announcements, competitions, special offers or discount codes. If you have something you want to go out today, publish it in your story. Don’t just copy: Yes, when we are starting something new, we like to check what others do with it. And stories from brands you follow can be a well of inspiration. But always keep in mind that your audience is unique. What works for another brand may not work for you. Try things, and get inspiration, but watch your analytics and results. See what works and develop your own story strategy. Make sure everybody seeing your story also knows that this story is coming from you – or rather your brand! It will be hard to earn all the benefits from your stories if people do not even recognize you as the author of the story. 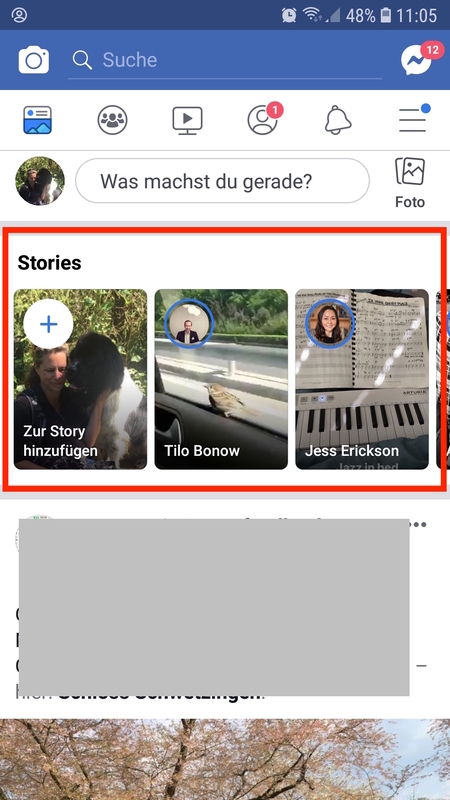 How about Instagram Stories on Facebook? If you are using Instagram stories for your brand, you should consider using the stories on Facebook, too. Since Instagram belongs to Facebook, cross-posting from Instagram to Facebook is easy to do. 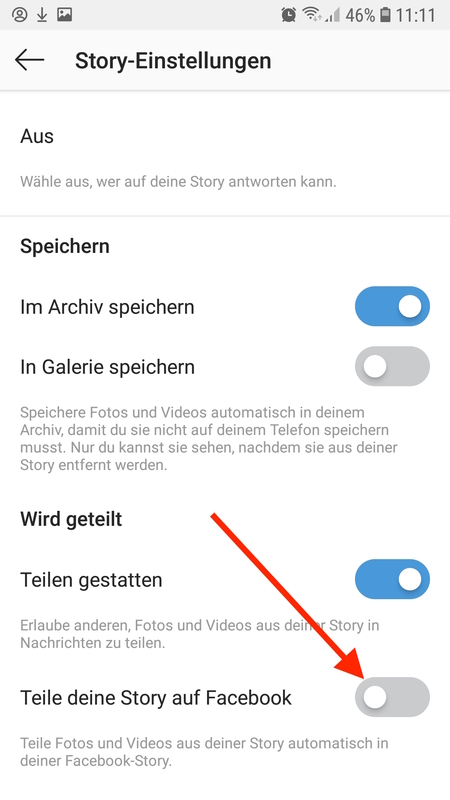 Simply go to your “Story Control” panel on Instagram and check the ”Share your story to Facebook” option – sorry the screenshot is in German – my Instagram is set to German. Facebook stories are still a huge opportunity to earn visibility on Facebook without paying for advertising. But you have to keep in mind that you need the content for stories. Posting your blog posts may be ok on your fanpage, but it will not do the trick in your stories. 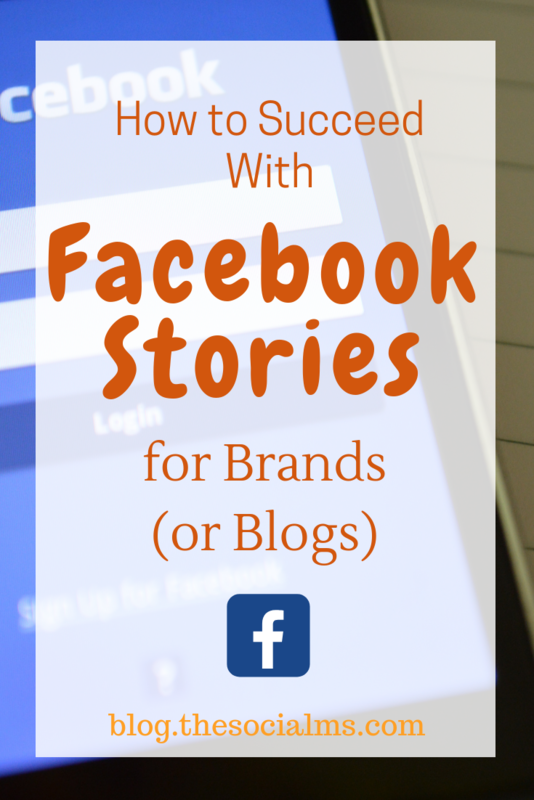 For success with Facebook stories, you have to think about the stories you want to tell and how and where you can find or create the images or videos that you can post as your stories. If you can answer this question, you can start right now to publish your first story.